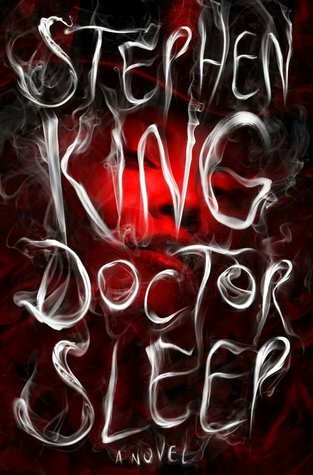 As you know Doctor Sleep is King’s long awaited sequel to The Shining. I was lucky enough to have read this book immediately after reading The Shining, so the story of Danny Torrance was fresh in my mind. While The Shining scared me quite a bit, I am happy to say I was never as frightened while reading Doctor Sleep. Other than that small difference, I enjoyed the sequel just as much as I did the first. Doctor Sleep brings us back to Danny Torrance-now Dan- as a middle aged man who has struggled his entire life. Just when he thinks he has hit rock bottom, literally and figuratively, he decides to make a change. He stops drinking and drifting and settles down in a small New England town. He works as a hospice care giver and has finally found some peace. Then he meets a young girl, Abra Stone, who has the shining as well. Together, they fight an evil that has set its sights on Abra. This book was wonderful. I love that King lets us know what happened to Dan. It was wonderful to see him struggle through his problem and come out on the other side. I loved the secondary characters and I thought the True Knot, the ancient beings that survive by killing youngsters with the shining, was a very bizarre twist. I especially loved the character of Rose the Hat. When the story finally returns to the Overlook, King pulled all the loose ends together very nicely. If you haven’t read The Shining in a very long time, it might help to do a quick reread, but I would definitely recommend Doctor Sleep. Now I have to get myself some more King!! Great quotes you chose, especially the last. Can’t wait to read this one, Kerri. He’s the master, that’s for sure. I’m curious what held you back from giving it the last half star – did it disappoint in some small way? Thinking back, I held back because the whole “True Knot” wasn’t really explained or fleshed out well. At the end of the book, I was still a bit unsure as to what they were. Since this is only mu second King book, I am not sure if he purposely does that- leaving things a little unexplained. If it is, I might owe him that 1/2 star back! This is the second review I’ve read of DOCTOR SLEEP. Guess I should pull it off my shelf! Ha! That meme at the end is great! I can’t wait to read this book! I think I need to reread The Shining first, though. 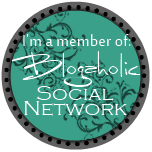 Thanks for linking up to the Spread the Love Linky Party!!! 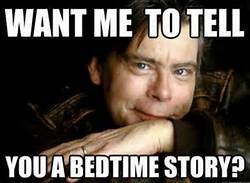 I’m so glad you enjoyed Doctor Sleep! I really thought it was wonderful too — and was also very happy to have read it right after The Shining. Stephen King is such a master — can’t wait to see what he does next!